Now that the housing market is starting to shift back to a buyer’s market and with the rising popularity of 1-year adjustable rate mortgages, you will start to see more people looking to buy pre-foreclosure and foreclosed properties. This is a subject that con-artists and late-night “get rich quick” schemes love to talk about. It sounds so easy — Find a house in foreclosure and buy it for pennies on the dollar. Well, the truth is that it is extremely risky and tough to buy a foreclosure and actually get a good deal. But don’t get me wrong, people do it, and some of them do get a good deal. The bottom line is that you need to know what you are doing. 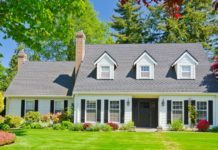 There are three different scenarios when it comes to buying a foreclosure and I will go through all of them with their respective pros and cons. Pre-Foreclosures: If you are looking to get a steal on a nice home, this is your best bet. The pre-foreclosure method involves finding a desperate homeowner whom has received a letter from the mortgage company that they are in default and that they will be foreclosed soon if they do not get current on their note. There has not been a foreclosure date set yet, and the amount of time that a homeowner gets after receiving this letter varies by state. This is where you come into play. If you can locate these properties that are in default, then you can contact the homeowner and give them an offer they cannot refuse. An irresistable offer would be something like this — Let’s say that the market value is $200,000, the homeowner still owes $120,000 on the mortgage, and you offer them $160,000 to sell the house. This is a wonderful negotiation technique, because everyone wins. The homeowner wins because he or she can walk away with $40,000 in equity and not get foreclosed on. You win because you get a 20% discount on the house, and you have not insulted the homeowner with a low-ball offer. 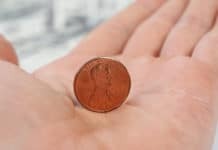 The idea is not try to buy this thing for pennies on the dollar, but to gain a reasonable discount on a home that may not need much maintenance. Foreclosure Auctions: This is a method that occurs on the doorsteps of the country courthouse and it is the most risky of all the ways to buy a foreclosure and hardly EVER recommended by anybody whom knows anything about real estate and foreclosures. If you buy at an auction at the courthouse, you have to pay with cash IN full, cannot buy title insurance, and usually you cannot even inspect the property before you buy (unless you do some re-con prior to coming to the auction). You can bet that the house will be trashed, the title will have tons of baggage, and most people do not have a couple hundred grand to throw around. Unless you are a pro at buying foreclosures, I do not recommend even considering to try to buy a foreclosure this way. Foreclosed Properties: These are properties and homes that have already been foreclosed on, but the auction price was not high enough to cover the amount owed to the bank, so the bank ends up buying back it’s own lien on the property. Then, the bank hires a real estate broker to sell the property, but they usuall try to sell it back at market value. It is much tougher to get a good deal when trying to buy a foreclosed property that the bank has bought back. You can usually expect to get about a 5-10% discount on the market value of these homes. However, if the amount of foreclosures rapidly increases in your area (which I think it will), then the bank will get anxious to get rid of these properties and you may be able to get a larger discount on the selling price. Do not be surprised to start seeing the financial fall-out of the recent housing boom which will include an increase in foreclosures. How many people do you know that bought a house that they normally could not afford, but a mortgage lender did something creative with an adjustable rate mortgage or interest-only loan that caused many families and retirees to buy more house than they could afford. If the interest rates continue to rise, it is only common sense to start seeing people falling back on their payments. Again, do not act like a vulture trying to prey off of someone else’s financial blunders. This will not get you a good deal on a foreclosure and you’ll have a guilty conscience about it. Be smart and ALWAYS seek advice from realtors and other professionals that have experience in buying foreclosures.